Taylor joined the company in 2009 with more than 10 years of financial and management experience. 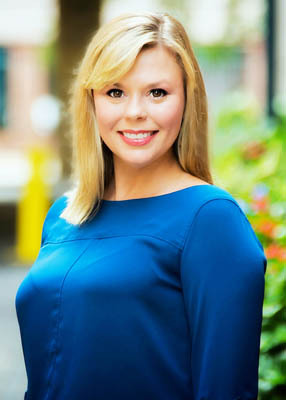 A graduate of the University of South Carolina, she received a Bachelor of Science in Business Administration with a double major in Finance and Management. Taylor directs the property management team and oversees a portfolio of retail shopping center, medical, dental, commercial office and industrial warehouse space of over 825,000 SF and growing. Taylor holds a Property Manager-in-Charge (PMIC) license for the state of South Carolina. She is a member of the Institute of Real Estate Management (IREM) and CREW Midlands. Her greatest accomplishments are as a proud and loving wife, mother of twins and stepmother of two.